Background: Multiple surgical procedures have been described for the correction of hallux limitus deformity. A review of the Vilex® hemi-implant procedure for the surgical treatment of hallux limitus is presented. Clinical outcome and patient satisfaction in 30 patients is reviewed. In addition, a review of the patho-physiology and clinical evaluation of hallux limitus is also discussed. Methods: The authors reviewed, retrospectively, 30 random cases of patients who failed conservative treatment and underwent a 1st metatarsophalangeal joint implant/arthroplasty using the Vilex® hemi-implant. This implant appears to limit some of the more common complications of implant arthroplasty including, but not limited to subluxation, pain and recurrence of deformity. Patients were chosen randomly after at least 12 months elapsed after surgery. Each patient was provided a questionnaire that asked why they chose to have the procedure and also if their symptoms were improved or eliminated after the procedure. Results: The vast majority of patients were satisfied with the surgical results. 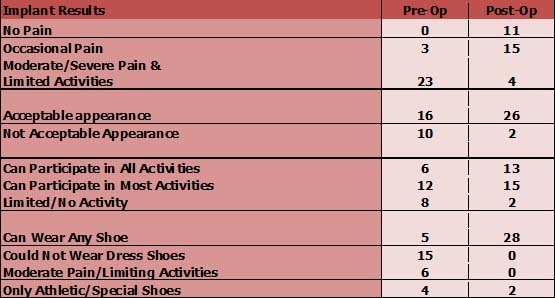 Most were able to return to normal shoes and were able to return to activities with significantly less pain. Discussion: This study represents a one-year clinical evaluation of patients who underwent surgery for symptomatic hallux rigidus using the Vilex® hemi implant technique. In this group of individuals, the outcome measures were good. The majority of patients reported they would undergo the procedure again. Key Words: Hallux rigidus, hemi-implant, first metatarsophalangeal joint mobility, satisfaction. In 1887, Davis-Colley  termed the phrase hallux limitus. Soon after, Cotterill  coined the term hallux rigidus. 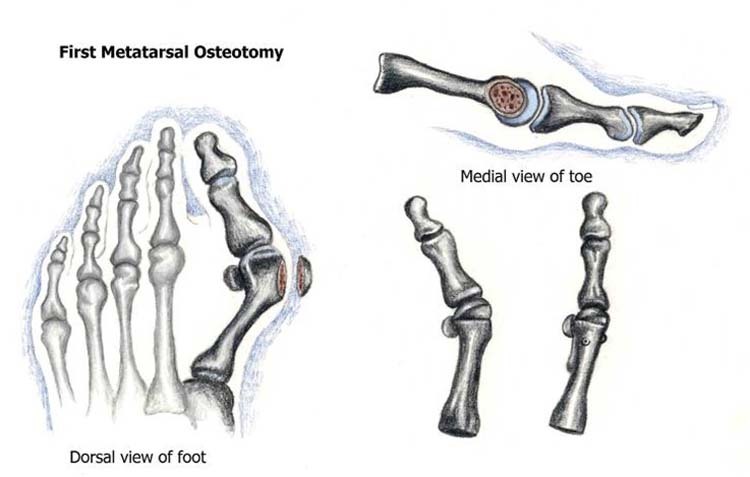 Hallux rigidus, or degenerative joint disease of the first metatarsophalangeal joint (1st MPJ), is a deterioration of the joint  and subsequent ankylosis. This may cause absence of joint motion, resulting in pain and deformity. 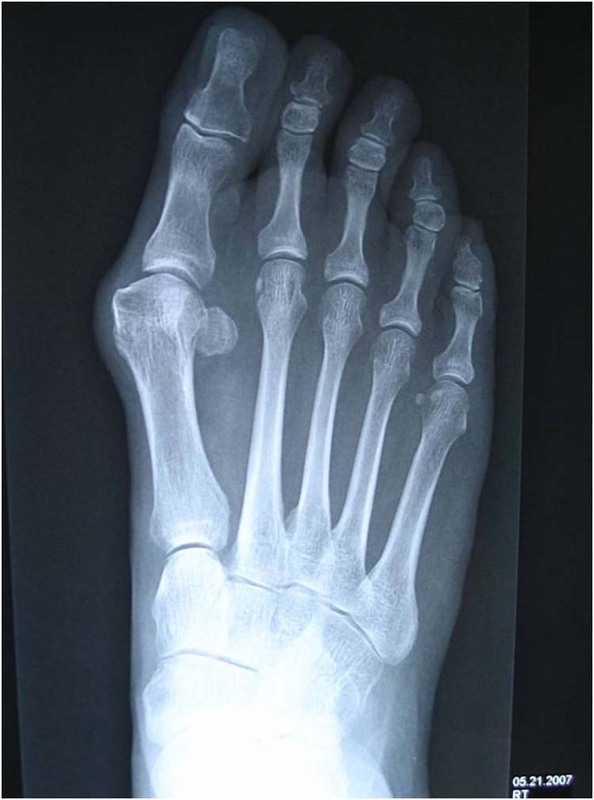 Numerous etiologies have been attributed to the degenerative process of hallux rigidus, which include elongated first metatarsal [3,4] first ray hypermobility [5,6] metatarsus primus elevatus , osteochondritis dissecans , and trauma. Conservative techniques such as orthotics, shoe modifications, and steroid injections can be successful in eliminating some pain. If conservative treatment modalities fail, surgical intervention may be necessary. Multiple orthopedic and podiatric surgical procedures have been described in the literature to address hallux rigidus including joint preservation techniques [10-14], and joint destructive procedures. 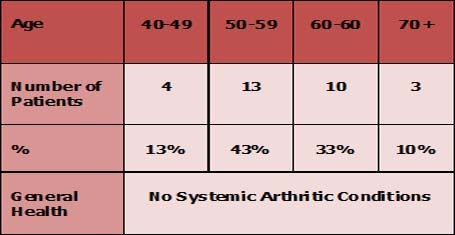 [15,16,17] The choice of a procedure should be based on the degree of pain, range of motion, activity level of the patient, and surgeon’s preference. Implant arthroplasty is one of many joint destructive techniques to address hallux rigidus. There are certainly many choices available to the surgeon when considering joint replacement. These include the total, hinged silastic implant with grommets, a hemi-silastic implant, a total, two-piece, cobalt chrome implant as well as many variations of a hemi-cobalt chrome implant. Generally, FDA implanting protocol calls for “cementing” an implant into the phalanx. In over five years of experience and over 200 surgeries performed with the Vilex® CHI, the authors have not found a need for cementing nor have they encountered a dislocated or a loosening of the CHI implant. The authors reviewed, retrospectively, 30 random cases of patients who failed conservative treatment and underwent a 1st MPJ implant/arthroplasty using the Vilex® hemi-implant. Patients were chosen randomly after at least 12 months elapsed after surgery. Each patient was provided a questionnaire that asked why they chose to have the procedure and also if their symptoms were improved or eliminated after the procedure. The most common finding is the gradual onset of pain and limitation of motion in the 1st MPJ. Clinical examination reveals an enlargement of the 1st MPJ dorsally and/or dorsomedially. Palpation of the joint may elicit pain. Early in the process, there may be muscle spasm of the extensor hallucis longus (EHL) tendon. There is typically very limited range of motion (ROM), which may be painful, with or without crepitus. 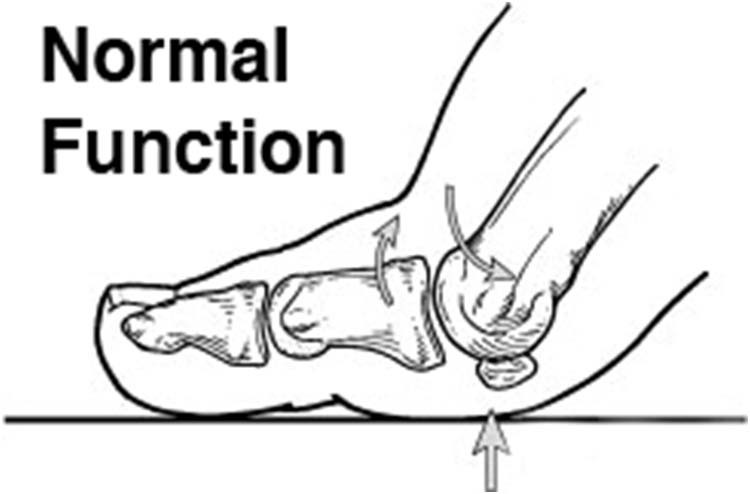 Plantar flexion range of motion is usually normal. The hallux may be in a fixed plantarflexed position with the interphalangeal joint (IPJ) in a hyper-extended position with keratoses. Soft tissue swelling may be present. If arthritic changes extend into the sesamoid apparatus, the sesamoids may also be tender. Functional limitation of first metatarsophalangeal joint dorsiflexion, hallux equinus/flexus, plantar subluxation of the proximal phalanx on the first metatarsal head, metatarsus primus elevatus, functional dorsiflexion of the first metatarsal with weight bearing, no radiographic degenerative changes, hyperextension of the hallux IPJ, or pronatory architecture. 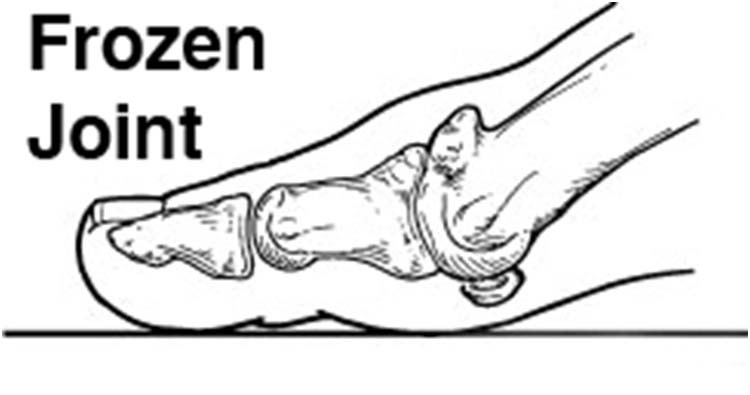 Flattening of the first metatarsal head, osteochondral defect of first metatarsal head, cartilage fibrillation and erosion, pain on end ROM, passive ROM may be limited, mild dorsal prominence, subchondral eburnation, peri-articular lipping of the proximal phalanx, first metatarsal head, and sesamoids. Severe flattening of first metatarsal head, osteophyte formation, especially dorsally; asymmetric narrowing of joint space, articular degeneration, erosions, crepitus, subchondral cyst formation, pain on full ROM, associated inflammatory flares. Forty to 60 degrees of dorsiflexion and/or 10-20% loss compared to the normal side. No radiographic changes; no pain with only stiffness and loss of motion. Thirty to 40 degrees of dorsiflexion and/or 20-50% loss compared to the normal side; dorsal osteophyte formation is the main finding with minimal joint space narrowing, peri-articular sclerosis, and minimal plantarflexion. Ten to 30 degrees of dorsiflexion and/or 50-75% loss compared to the normal side; diffuse osteophyte formation radiographically, with some flattening of the metatarsal head; with more narrowing and more than ¼ of the dorsal joint space involved and with the sesamoids typically not involved. Clinically, moderate to severe pain and stiffness, and pain occurs just prior to maximum dorsiflexion and plantarflexion. Less than 10 degrees of dorsiflexion and/or 75-100% loss compared with the normal side, notable loss of metatarso-phalangeal plantarflexion; radiographic changes are the same as Grade 2 with more narrowing and more than ¼ of the dorsal joint space involved. The sesamoids are either enlarged, cystic, irregular or a combination of all three. Clinically, the pain is more constant and there is significant stiffness at the extremes of range of motion. This is the same as Grade 3, from a dorsiflexion and radiographic standpoint. 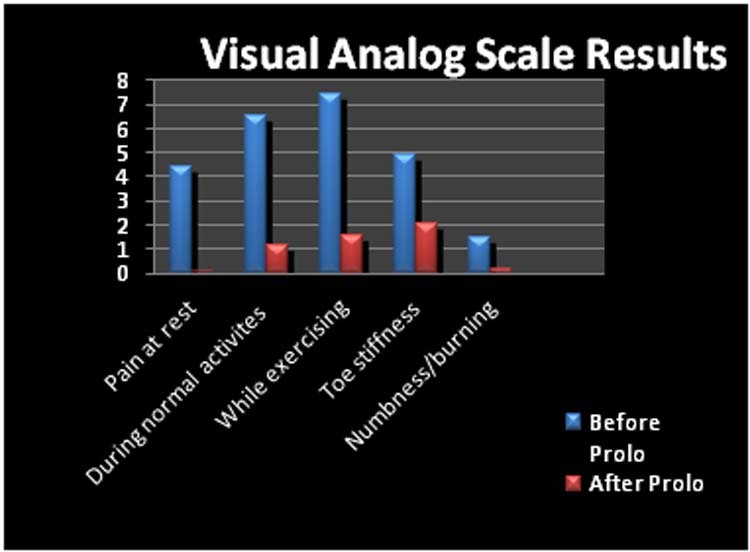 Clinically, there is definite pain at mid-range during passive motion. A curvo-linear incision is placed on the dorso-medial aspect of the 1st MPJ. Through the same incision, a linear, longitudinal capsulotomy is performed. The capsule is dissected from the head of the metatarsal and base of the proximal phalanx allowing adequate visualization of the MTP. The medial eminence, along with any hypertrophic bone growth and osteophytes, are resected. The base of the proximal phalanx is carefully freed of soft tissue attachments in order to protect the insertion of all intrinsic musculature. Approximately 4-5 mm of bone is then resected from the base, with an osteotomy performed perpendicular to the longitudinal axis of the shaft. The amount of bone removed is twice the thickness of the Vilex® implant to allow adequate decompression of the MPJ joint. The Vilex® hemi implant procedure allows the surgeon to assess the eventual position the implant before inserting the implant itself. In addition, the implant is screwed into the phalanx without drilling or broaching. Figure 1 Implant inserted into proximal phalanx over K-wire. Figure 2 Implant correctly positioned into proximal phalanx. After a flush with a combination antibiotic/saline solution, the capsule is approximated with 3-0 Monocryl; the subcutaneous tissue is approximated with 4-0 Monocryl and the skin is closed to surgeon’s preference. The surgical site is dressed with sterile compressive dressings. Postoperatively, the patient is allowed to weight-bear immediately, in a typical, postoperative shoe. Sutures are removed in 10-14 days and most patients are referred to physical therapy for early, range of motion exercises. We have found that when patients ambulate to tolerance and motion exercises are instituted early in the postoperative period, patients respond more favorably. Table 1 Hallux rigidus implant pre-operative evaluation. Table 2 Implant results before and after surgery for patient group. Post-operatively, 80% related no or slight discomfort, 92% could participate in almost all activities without problems, 100% stated they could wear orthopedic, casual and/or any type of shoe, the majority of the time, only 22% did not like how their foot looked post-operatively, 80% felt they had more motion than pre-operatively and 77% of the patients were pleased with the outcome of the procedure. (Table 3) Of those not pleased, some were still having joint discomfort and some thought it took longer than they expected to recover. Table 3 Hallux rigidus implant postoperative evaluation. This study represents a one year, clinical evaluation of patients who underwent surgery for symptomatic hallux rigidus using the Vilex® hemi implant technique. In this group of individuals, the outcome measures were good. The majority of patients reported they would undergo the procedure again. There should be no question that with all patients who present with symptoms due to hallux limitus or hallux rigidus, all methods of conservative care should be exhausted before entertaining thoughts of surgical intervention. A joint destructive technique of any kind should never be presented to the patient as “restoration of the original” or “as good as new”. chrome implants. In addition, titanium does not contain nickel, thereby avoiding the potential of allergic reaction to nickel present in cobalt-chrome. Also, the titanium is less likely to distort magnetic resonance imaging (MRI) should the patient need MRI scanning in the future. Low Profile – The articular surface is elliptical in shape and its thickness ranges from 1.5 to 2.0 mm. In resecting the base of the proximal phalanx, the surgeon needs to remove between 3-4 mm of bone to provide room for the implant and to decompress the 1st MPJ. This is a major advantage to the patient because the minimal resection preserves the intrinsic structure of the joint and preserves the toe both functionally and cosmetically. In addition, it retains the option for the surgeon to perform arthrodesis or a Keller arthroplasty should the implant fail. Cannulation – The fact that the implant is cannulated enables the implant to be placed optimally. After inserting a 1.6 mm guide wire, the surgeon can assess the position, orientation of the implant, and the accuracy of the cut. The surgeon can correct any error by simply relocating the guide wire. Once the wire is placed, the surgeon can visualize the final position of the implant through a simple test. Screw Shaft – The implant shaft is essentially a cannulated screw with tight thread pitch and very generous major to minor diameter ratio. The three screw tips are hand-sharpened so that implanting the implant does not require drilling or tapping. The CHI is the only hemi-implant on the market with this type of shaft. The majority of patients in this study did have significant improvement in symptoms. We have noted excellent results with substantial reduction in pain and an increase in the range of motion of the 1st MPJ. 1. Davies-Colley, MR: Contraction of the great toe in adolescents. Br Med J 1: 728 – 732, 1887. 2. Cotterill JM: Stiffness of the great toe in adolescents. Br Med J 1: 1158 – 1162, 1888. 3. 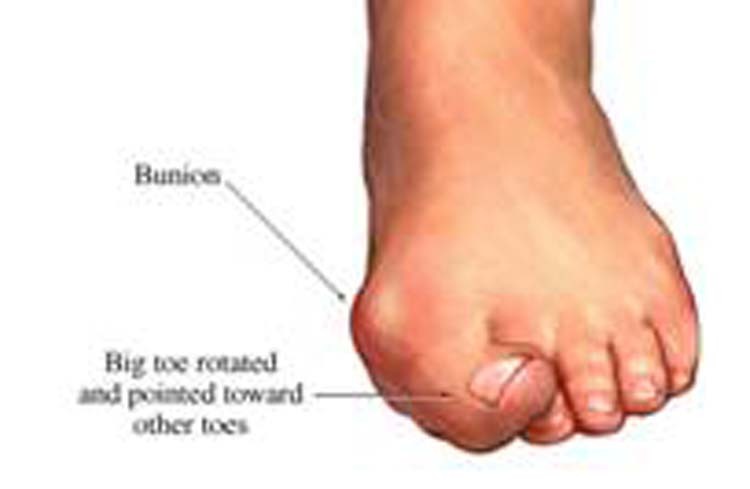 Bingold A, Collins D: Hallux rigidus. J Bone Joint Surg 32B: 214 – 222, 1950. 4. Nilsonne H: Hallux rigidus and its treatment. Acta Orthop Scand. 1: 295 – 303, 1930. 5. Jack EA: The etiology of hallux rigidus. Br J Surg 27: 492 – 497, 1940. 6. Kessel L, Bonney G: Hallux rigidus in the adolescent. J Bone Joint Surg 40B: 668 – 673, 1958. 7. Lambrinudi C: Metatarsus primus elevates. Proc R Soc Med 31: 1273, 1938. 8. Goodfellow J: The etiology of hallux rigidus. Proc R Soc Med 59: 821 – 824, 1966. 9. McMaster MJ: The pathogenesis of hallux rigidus. J Bone Joint Surg 60B: 82 – 87, 1978. 10. Geldwert JJ, McGrath MP, Mancuso JE: Cheilectomy: still a useful technique for grade I and grade II hallux limitus/rigidus. J Foot Surg 31: 154 – 159, 1992. 11. DeLauro TM, Positano RG: Surgical management of hallux limitus and rigidus in the young patient. Clin Podiatr Med Surg 6: 83 – 92, 1989. 12. Feldman RS, Hutter J, Lapow L, Pour B: Cheilectomy and hallux rigidus. J Foot Surg 22: 170 – 174, 1983. 13. Kissel CG, Mistretta RP, Unroe BJ: Cheilectomy, chondroplasty, and sagittal “Z” osteotomy: a preliminary report on an alternative joint preservation approach to hallux limitus. J Foot Ankle Surg 34: 312 – 318, 1995. 14. Selner AJ, Bigdan R, Selner MD, Bunch EK, RL Mathews RL, Riley J: Tricorrectional osteotomy for the correction of late-stage hallux limitus/rigidus. J Med Am Podiatr Assoc 87: 414 – 424, 1997. 15. Laird L: Silastic joint arthroplasty of the great toe: a review of 228 implants using the double-stemmed implant. Clin Orthop 225: 268 – 272, 1990. 17. O’Doherty DP, Lowrie IG, Magnussen PA, Gregg PJ: The management of the painful first metatarsophalangeal joint in the older patient. Arthrodesis or Keller’s arthroplasty? J Bone Joint Surg 72B: 839 – 842, 1990. 18. McMaster M: The pathogenesis of hallux rigidus. J Bone Joint Surg 60B: 82 – 87, 1978. Coughlin MJ, Shurnas PS: Hallux rigidus. Grading and long-term results of operative treatment. J Bone Joint Surg Am 11A: 2072 – 2088, 2003. Interest Disclosure: The authors have no financial relationship or conflicts of interest with Vilex®, Inc. other than occasional speaking engagements.